Floating carcasses were all that was left of Cecil’s chickens and cows. His fishing boat tore from the jetty to be lost in the muddy torrent. Everything his family owned was gone. He stood in waist-deep water, grabbing at his possessions as they drifted away. He saw one of his daughter’s toys and reached for it. It would amuse her in the days to come. Wind and debris slapping at his face, he sloshed towards the church, its spire rising strong amid the chaos. Paulette and Lucille—his wife and his child—waited there. We, too, will rise again, Cecil vowed. In order to avoid the impression that he is out in the teeth of the storm and to emphasize that he is surveying in the aftermath the effect on his family, I would suggest that you consider making the second sentence about the fishing boat read in the past tense. Nice and concise view into the aftermath. Powerful story! I admire your ability to say so much with so few words. Good job! Kristy, I know Cecil is in the storm. 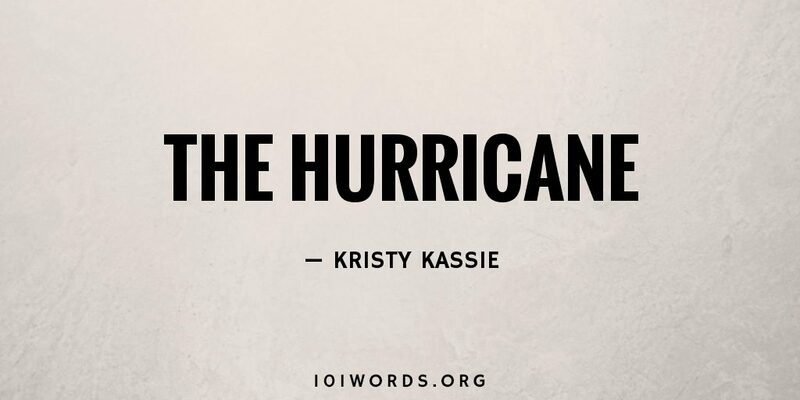 I grew up on the Texas Gulf Coast and I experienced being out in the chaos, the stinging sand, and the biting rain in winds that gusted from 60 to 80 mph. I saw the bodies of animals and people. I understand Cecil grabbing the toy. In times like that you clutch any reminder of normalcy you can get. I don’t know if you actually experienced a hurricane but you did a good job here. Look up the history of the Port Bolivar Lighthouse sometime for a glimpse of what it went through in the 1900 hurricane (winds at 145 mph) and the 1915 hurricane (winds at 135 mph). Check out its pictures… it still stands. Lots of impact for a flash story, well done!